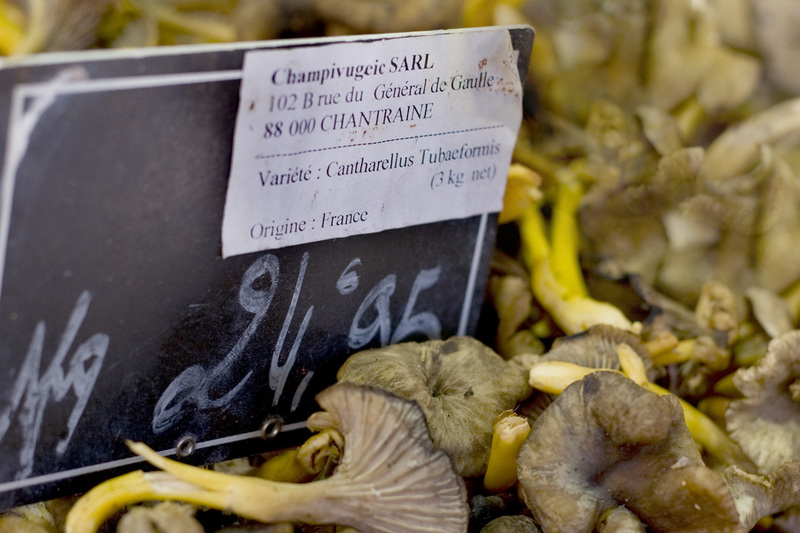 This week browsing the Parisian growers market I was so excited to discover almost 10 different varieties of French mushrooms are now in season that I decided to dedicate an entire post and recipe all to the humble, versatile mushroom. My first ever sighting of the remarkable giant cèpe conjured up magical, childhood memories of fairy-tales and illustrated story books- not to mention left me wondering how and what you cook with a 2kg cèpe mushroom which is bigger than the average Parisien chiwawa! As a sure sign that winter is approaching- the varying damp and rain cultivates very specific mushrooms in regions with specific seasons- some varieties make very brief appearances and you will only see them on sale for a week or two a year. 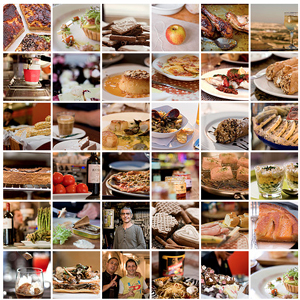 The different varieties open up so many new possibilities for pairing flavors, textures and ingredients with a seasonal ingredient that is both a star on it’s own, and equally as brilliant as an accompaniment. 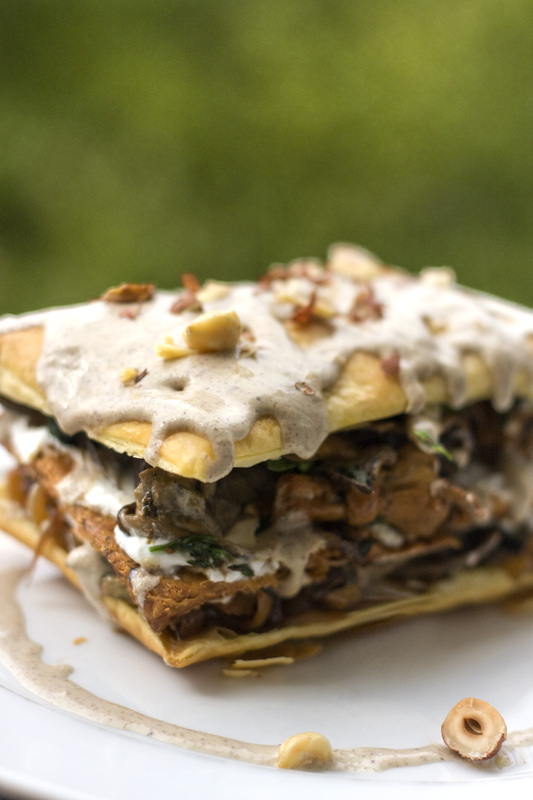 For this blog post I wanted to create a recipe with the mushroom as the star of the dish. Since the choice was so overwhelming I found it hard to follow a minimalist approach and ended up buying 3 varieties in one go (not to mention burning a neat 15 € sized hole in my wallet). 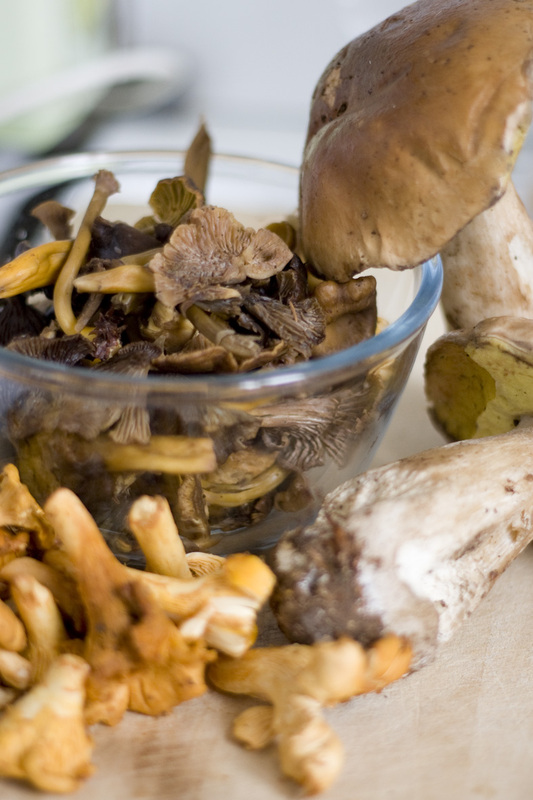 Thanks to my over enthusiasm for pricey, fancy fungi, the following recipe is made with a combination of seasonal varieties but would of course be equally as good, if not better with just one variety alone, left to shine as the hero of the dish. Before I start on the recipe, here’s some pics of the markets this weekend showing a few different varieties from the farmers markets. 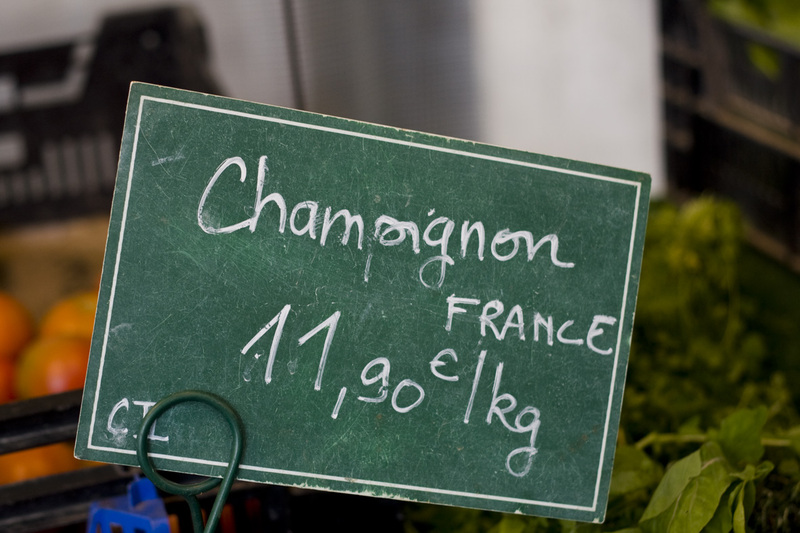 Some of these are certified bio/organic so the prices on display are obviously much higher. Mushroom-eating munchkins! Too cute to leave this one out. 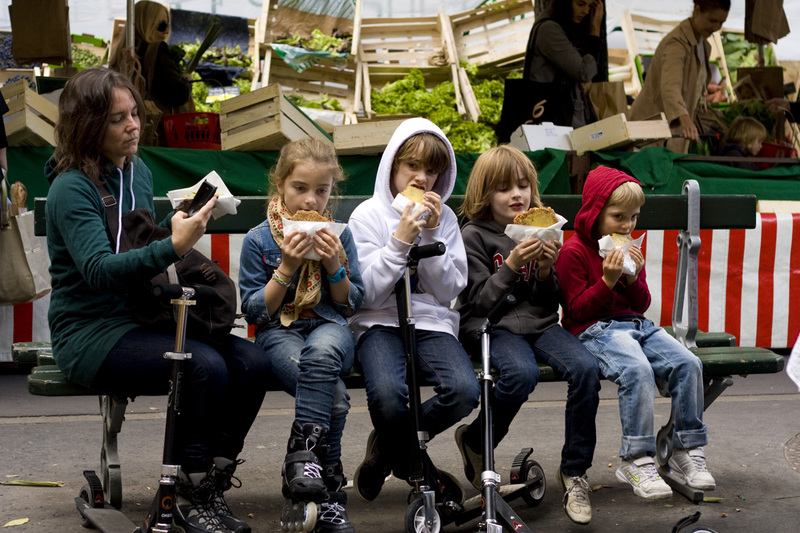 The potato, mushroom and gruyere fritters they were eating looked pretty good too! 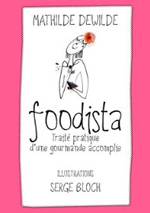 Hope so! 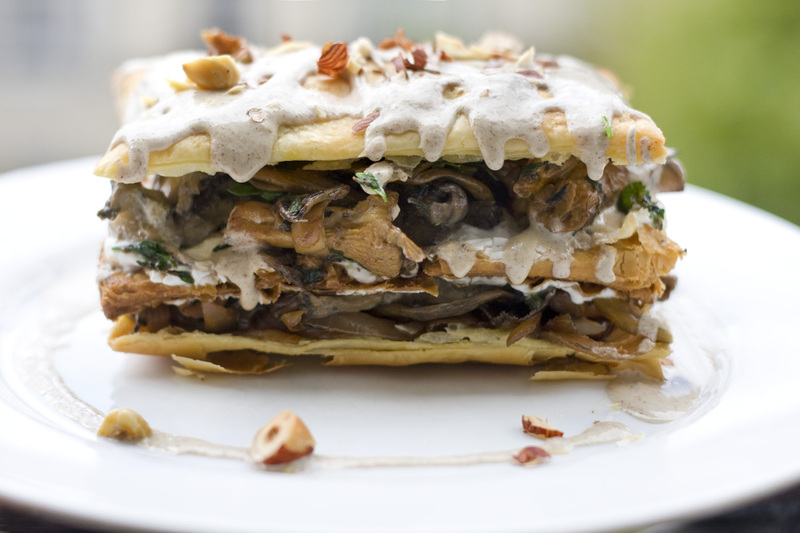 Here’s the recipe for a delicious seasonal dish with typical French flavor profile made with market fresh mushrooms and Mille-feuille (flaky layered pastry). It’s not difficult to make, but can be a bit fiddly and certainly not achieved in a hurry. 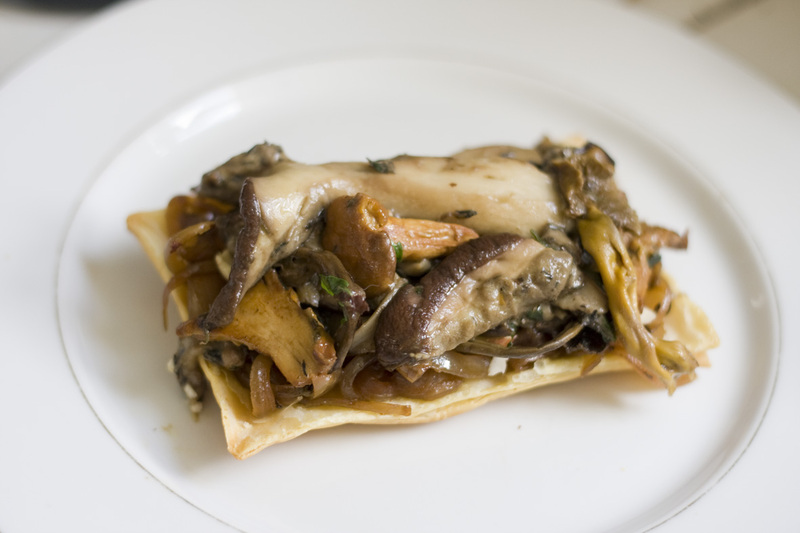 Use whatever mushrooms are in season (picured example includes girolle, cèpe and chanterelles), a mild goats cheese that’s soft enough to spread on the flaky pastry, a good quality ready-to bake Pâte feuilletée and fresh thyme if possible. Pre-heat oven to 200 degrees celsius. 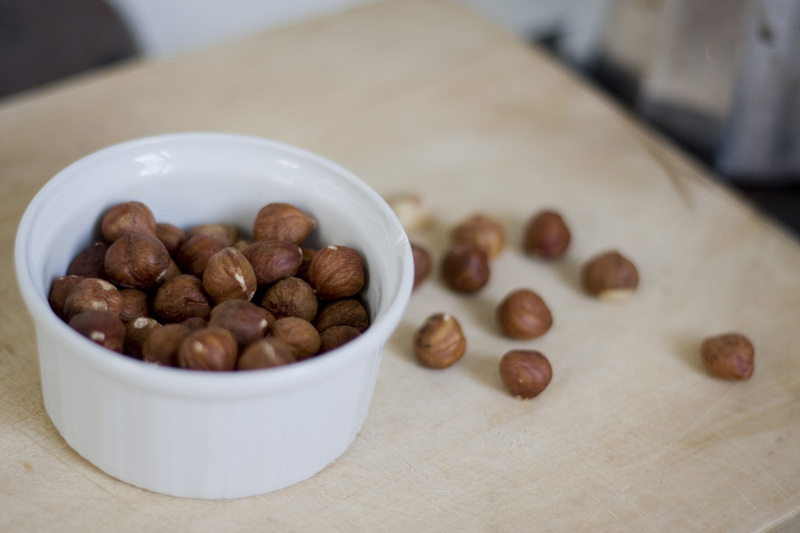 On a lightly greased tray lay out the rectangles of cut pastry and put hazelnuts in an oven-proof dish. Bake for 20 mins or until the pastry has puffed and turned golden brown, remove from the oven and set aside to cool. Begin preparing the caramelized onion. Dice onion finely length-ways and add into a heavy-based saucepan with olive oil, balsamic or red wine and brown sugar. Keep stirring and cooking the onions slowly on low heat until they are translucent, soft and toffee brown, whilst preparing the mushrooms. 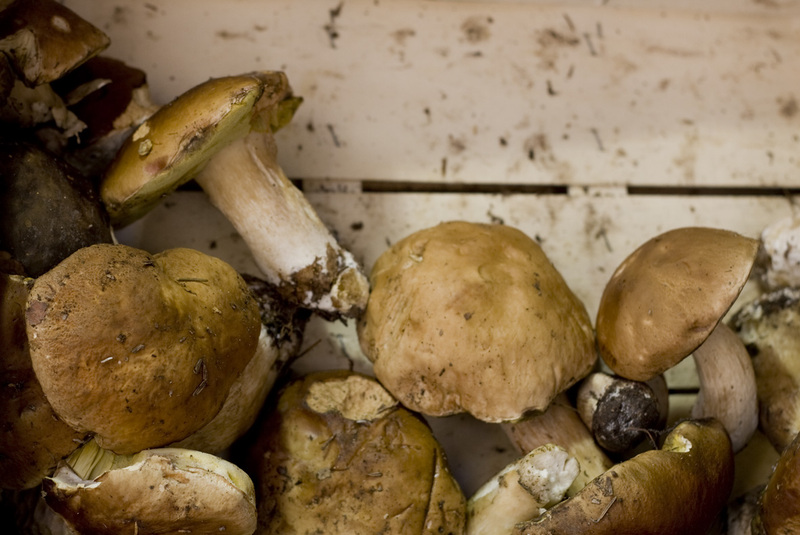 Rinse all mushrooms well and pat dry immediately to remove excess water with a clean tea towel or kitchen paper. 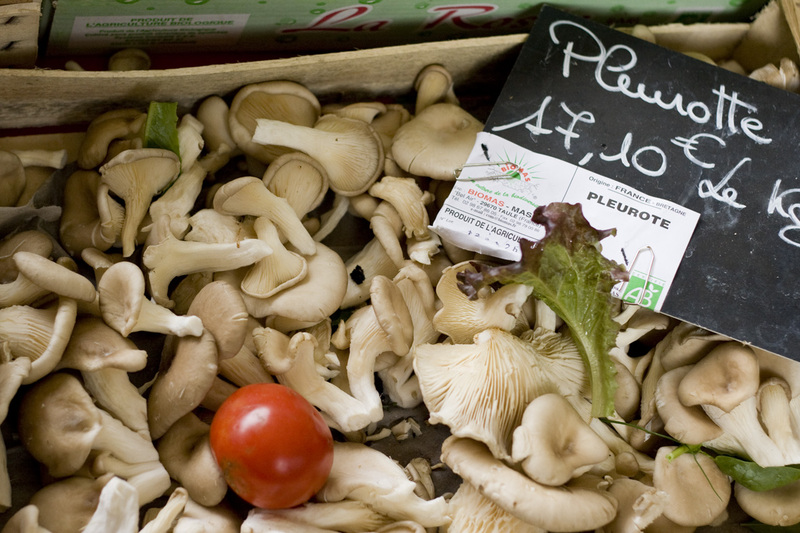 Slice cèpes (or similar bigger meaty varieties) length-ways and leave other smaller mushrooms whole. 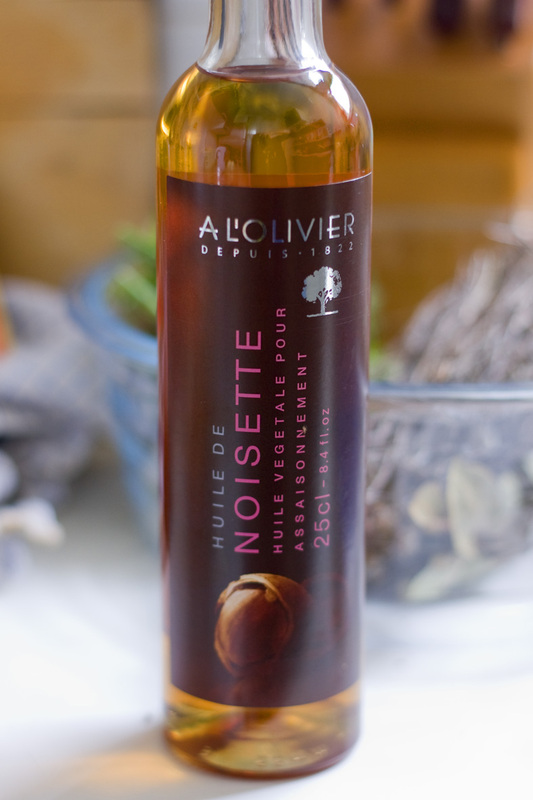 Heat olive oil and 2 tbsp hazelnut oil in a frying pan and add parsely, thyme and sea salt. Add all mushrooms, starting with the bigger ones. 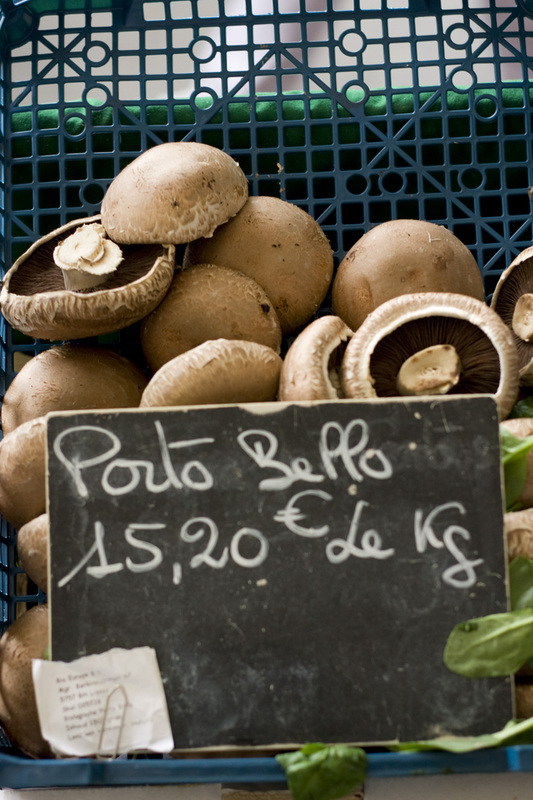 Add white pepper and cook the mushrooms, continually stirring, until they have reduced in size and start releasing their juice. 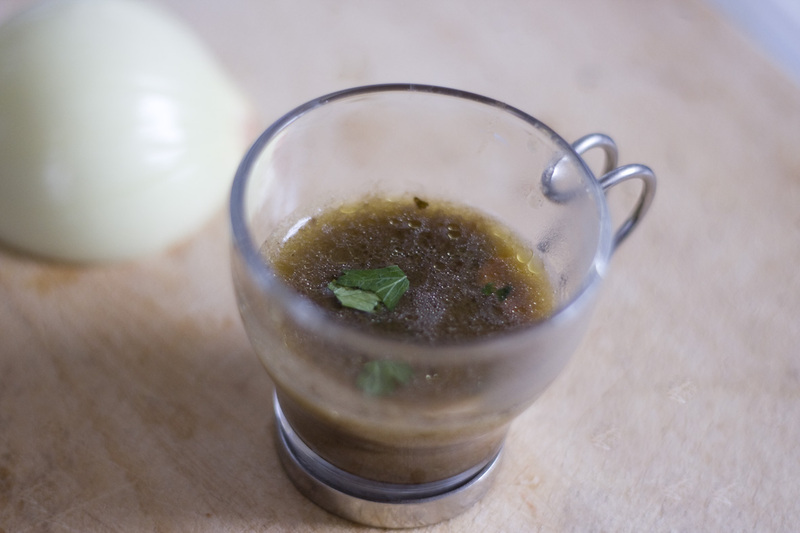 Remove from heat and slowly separate the liquid away from the mushrooms, collecting all the juice into a separate bowl. 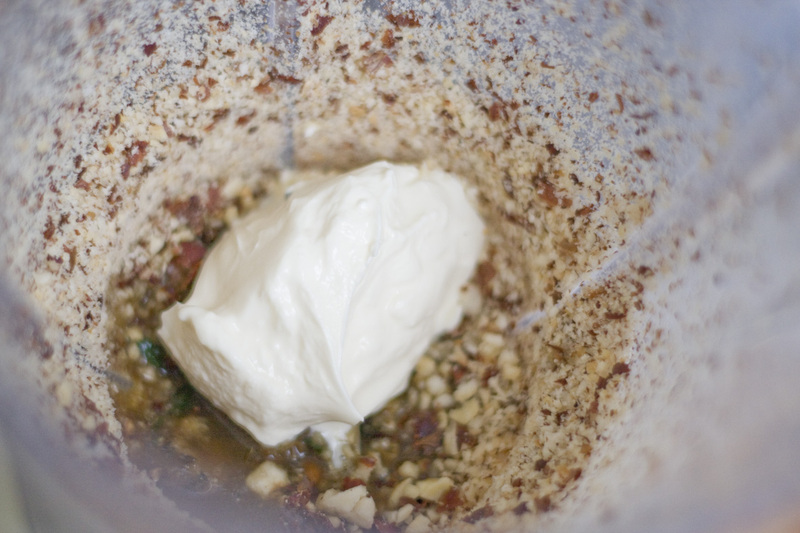 In a blender or coffee grinder, combine 2/3rds of the roasted hazelnuts, 100 mls creme fraiche, mushroom juice , 1.5 tbsp hazelnut oil, and 15 mls warm water. 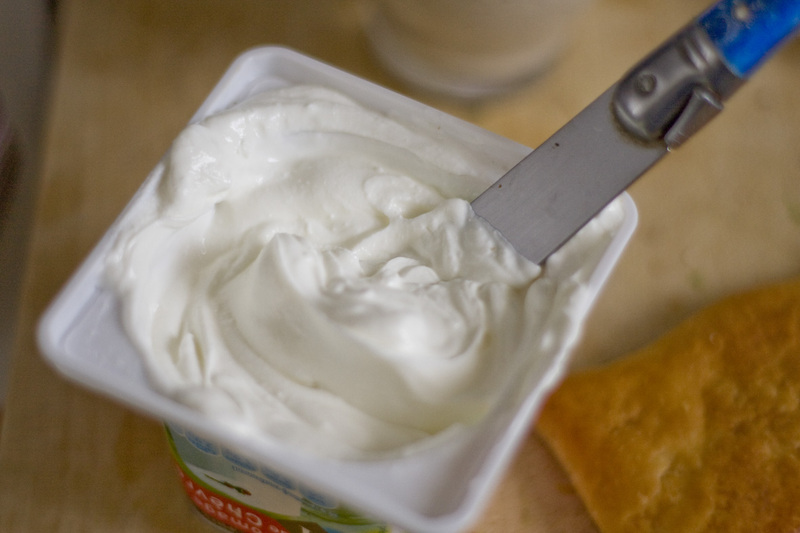 Whizz until smooth and pourable, adding sea salt to taste. Prepare Pastry layers by gently separating each rectangle of cooked pastry into two layers. 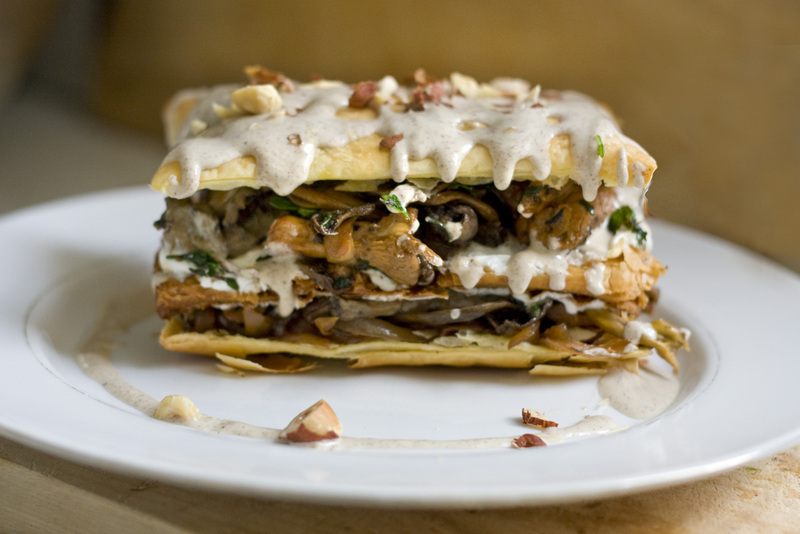 The base becomes the centre layer and the top is used as the first layer or top of the mille-feuille. 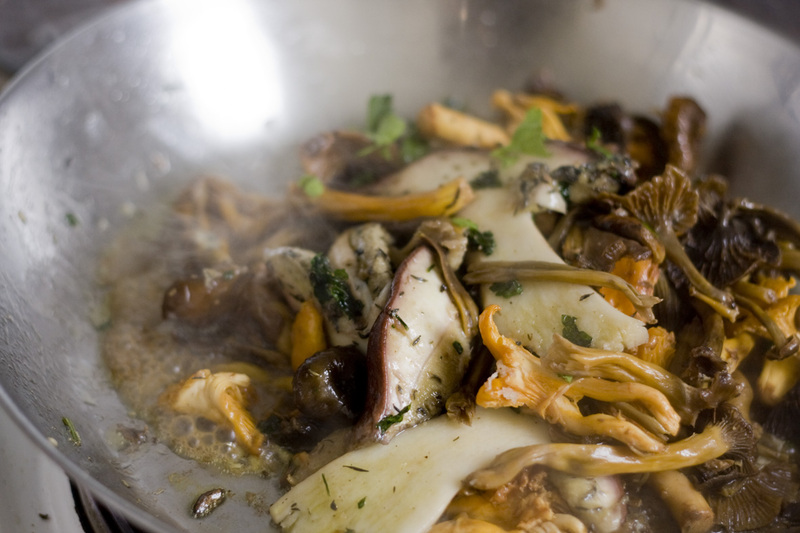 Return mushrooms in pan to the heat and re-cook them to heat and remove any excess moisture. 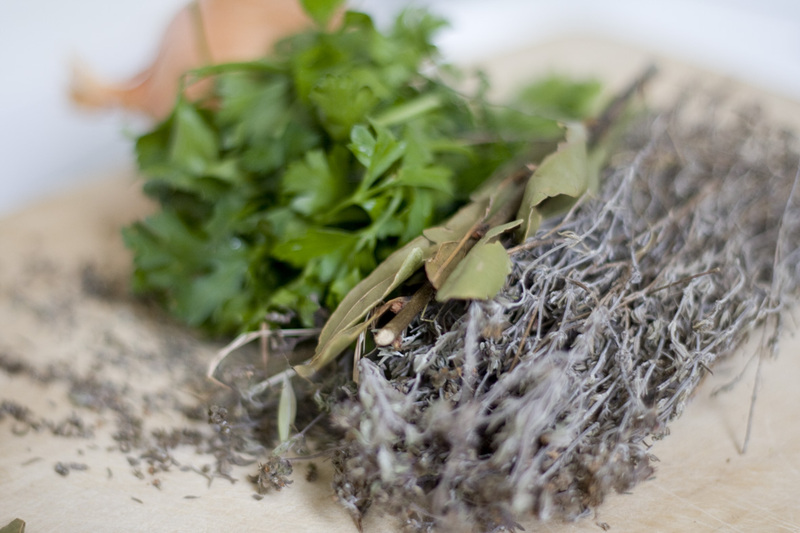 Add more fresh herbs if desired. 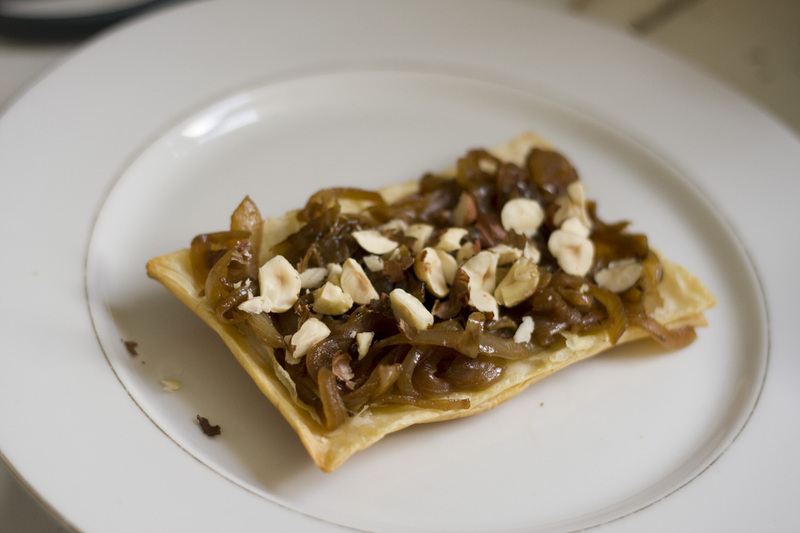 Place pastry bases on a serving dish and gently layer the caramelized onion to the base, then sprinkle roughly chopped roast hazelnuts over the onion. The nuts are an important textural elemetn to this dish so avoid omitting them. 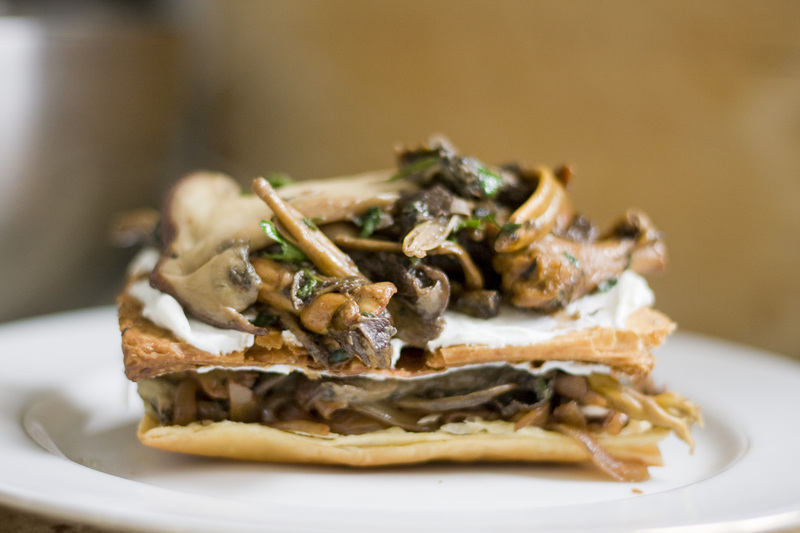 Add a 1.5 cm high layer of mushrooms over the top. 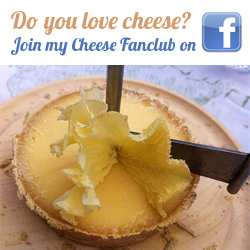 Spread a fine layer of goats cheese over both sides of the middle pastry layer then add this to the base. Finally, add one of the top layers from the baked pastry to the mille-feuille. 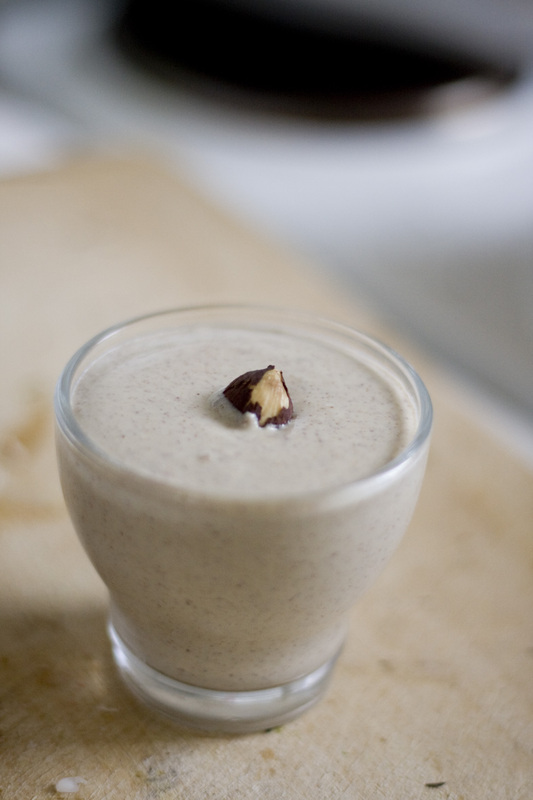 Drizzle the hazelnut creme over the top and finish with chopped hazelnuts. Tell me what you thought!